Explore the anger of Achilles, the excitement of Greek heroism, and the unforgettable adventures of Odysseus with the Iliad & Odyssey Complete Set from Memoria Press. Add this set to your middle school or high school classical literature program or even use it for your own continuing education. These two studies together can easily comprise a one semester literature course. Memoria Press recommends this set for grades 7-12. 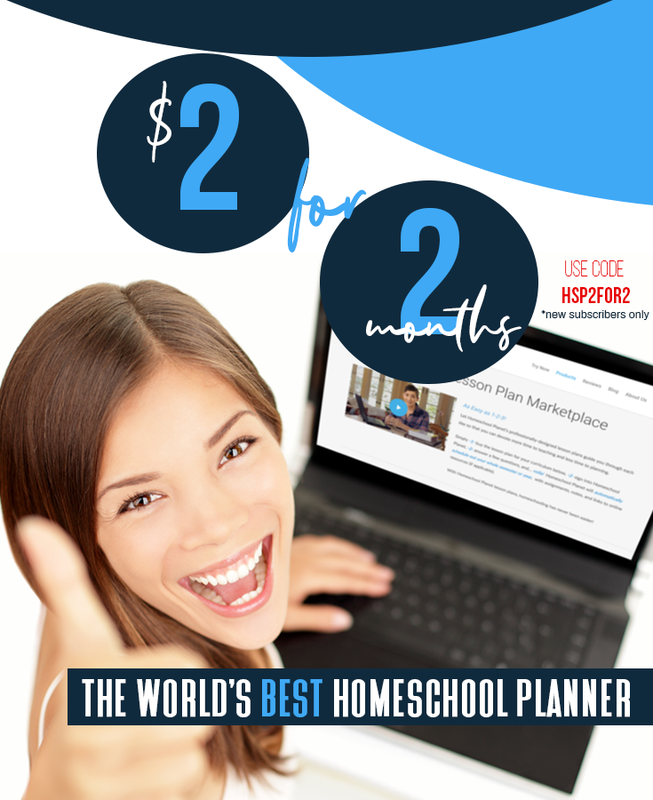 My recommendation: Strong 7th graders through 10th graders will greatly benefit from this set. 11th-12th graders will also benefit, but may want to add more in-depth discussions with peers and/or adults. If you are unfamiliar with these two epic poems, you may want to do some background reading before diving in. The Iliad picks up in the last year of the Trojan War and it can be a bit difficult to follow what is going on if you are not familiar with what went before. I recently read The Trojan War by Olivia Coolidge to my 3 younger kids as a part of our study of Ancient Greece and that was very helpful. Having familiarity with the various gods and goddesses was also helpful. 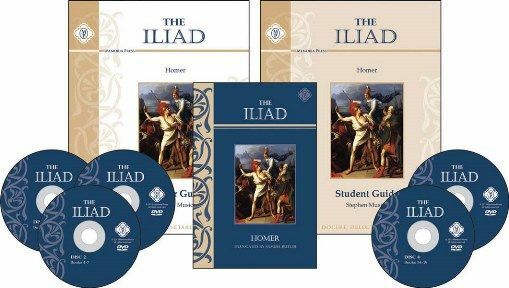 How are we using the Iliad & Odyssey Complete Set? For the past several weeks, instead of popping a movie in or wasting time on the internet, my husband and I have been studying the Iliad together. We take turns reading each book aloud (there are 24 “books” in the Iliad) and then watching the accompanying video commentary and discussing the book. We have been enjoying this immensely---just call us super nerds! My husband is a professor of philosophy at a liberal arts college and has been teaching for several years. He also makes video commentaries, and so I wanted to have his thoughts on this course, its format, the quality of the materials, etc. When I say “we” in this review, I am referring to observations that we both shared. Butler’s texts are very accessible. As both the Iliad and the Odyssey are epic poems, most translations try to retain the poetic, metered quality of the originals by presenting the English in verse. Butler’s translation is prose, which makes it a bit easier to read. The Memoria Press editions restore the original Greek names to the gods and heroes (Butler’s original texts had Latinized the names, as that was the fashion in the late 1800s-early 1900s). The illustrations in the texts are based upon the line drawings of John Flaxman. There’s Artwork? Are there any Greek Nudes? If you are concerned about nudes in Greek artwork, Memoria Press has your back. We looked up some of the original drawings online to see what had been changed about them---in many cases, more clothes had been added to the classical Greek figures to cover bare tops or bottoms. The videos also have Greek artwork used as backdrops for the lectures. While watching the videos, we encountered artwork that had been modified to add some modesty (a painting appeared that my husband was familiar with and he could readily see it had been altered, so he looked up some of the other pieces). Memoria Press has put a lot of thought into this. Obviously opinions on this subject vary widely, but we didn’t find anything that seemed like it would offend. The changes were tastefully done. The videos are engaging and Mr. Brooks has a pleasant manner. We could see him talking with a classroom full of high school students. He would often attempt to elucidate events in the text by comparing them to modern day things. While it was clear that he was speaking from notes, it was also clear that he was not speaking from a script, which has its pluses and minuses. He definitely knows his stuff, but he would sometimes lose track of what he was going to say or belabor a point that could have been covered more briefly. The video and sound quality is good. The videos are essentially Mr. Brooks standing in front of a camera and talking.The pictures used in the background add some visual interest, and occasionally there was a map, but I would have liked to have seen more in the way of charts and maps---there is more that can be done with this medium. We also found that the DVD format could be improved. We would love to see closed captioning for the hearing impaired and a more responsive menu (you can choose the book, but if you don’t hit “stop” at the end of the lecture, it automatically plays the next lecture). The stripes made my eyes go crazy and the white tie drew my eyes directly to it. We would like subtle color combinations or even the addition of a plain suit jacket. Mr. Brooks generally begins with a recap of what happened in the previous book and then runs through the current book, highlighting details and giving some background that may be needed to better understand some of the passages. I learned lots of things about ancient Greek culture by listening to Mr. Brooks. If you are wondering if the DVDs are worth it, yes, they are! At the same time, I think the lectures could go much further. 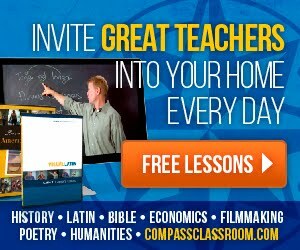 I would like a deeper look at the themes of these great epics for later high school or adult students. I found that having a peer to discuss the books with bridged that gap. The consumable Student Guides will take your student through the course, book by book. Each assignment begins with a list of relevant characters and places, which will help keep track of who’s who. There are also several comprehension questions, quotations from the text(good for memorization) and more “thinky” discussion questions. In the appendix, you will find genealogies of the chief Greeks (in the Iliad and the Odyssey) and Trojans (in the Iliad), lists of main characters with descriptions, and more. The student guides have blank lines in them for answering the comprehension questions and are consumable. 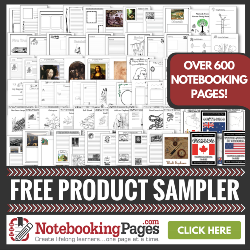 Your student will need a separate notebook for essays and tests. As adults who are essentially self-studying, we have been referring to the questions in the student guide for the Iliad for discussion purposes, but have not been completing it as designed. I do think the guides should work very well for helping a student getting the most of out the course. 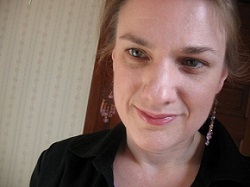 The essay suggestions in the Teacher Guide will make your students think and get them writing. The intro to the Teacher Guide says that students should expect to spend about 4-1/2 hours per week on this course. If you follow the recommendation to read the books aloud, I suspect that most students will spend more time than that once you add in the Student Guide questions and essay assignments. We really like the Iliad & Odyssey Complete Set! If you want your child to have a classical education, but you’re not sure about guiding them through ancient Greek literature (and hey, that can be intimidating! ), Memoria Press has a great solution. Not only have they republished Samuel Butler’s prose translations of both the Iliad and the Odyssey, but they have provided good support materials that will allow you to either study these epics alongside your students or to have your students study them on their own. It’s very hard to write a curriculum for a wide range of ages, and 7th through 12th grade is a wide range. 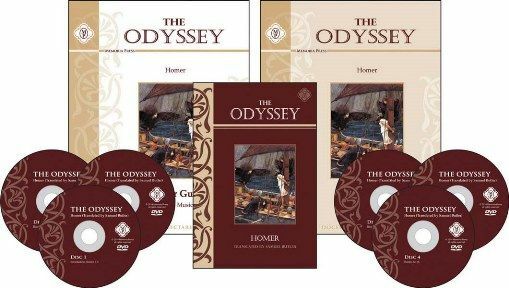 While some middle schoolers may find the tests too challenging and some high schoolers may wish the videos went deeper, the Iliad & Odyssey Complete Set does a good job of finding a middle ground and can easily be tweaked to fit your student’s abilities.